Bb Rich Placenta possesses nutritious components of plancenta extract, which can be used to prevent skin cells from aging, encouraging rejuvenation and repair of cells. It can also strengthen the immune system as well as healing abilities of both our skin and body. 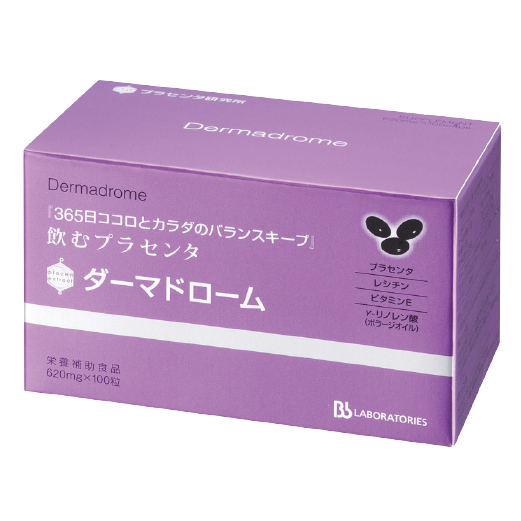 This component also reduces and prevents formation of pigmentation. 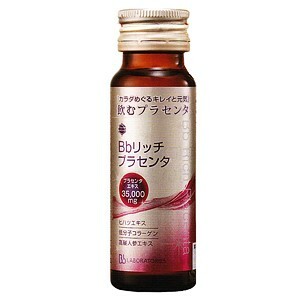 Regular consumption of the Bb Rich Placenta can help fight against fatigue and signs of aging. In addition, microvascular blood vessels are the key for health and beauty. However, due to aging process, UV light and oxidation, microvascular blood vessels are increasingly damaged, reducing the proportion of blood vessel and capacity to transport oxygen and nutrients to cells. Bb Rich Placenta has the ability to stimulate and repair microvascular blood vessel, improving blood circulation and regeneration of cells, reducing swelling and irritation. Daily intake of one bottle. Shake well before consuming, best served cold. Consume soon after seal opened. Consume one bottle daily, preferably during the day. This supplement contains Placenta Extract, Boragile Oil and Vitamin E, providing various amino acids to the body, including growth factor and essential fatty acid. It also contains Lecithin which can discharge fat and prevent from Atherosclerosis. It promotes cell activation, which stimulates the growth and function of existing tissue, giving beautiful skin with vibrant vitality, a regenerated younger appearance and also a healthier body. Take 3-5 capsules (620mg/capsule) daily with lukewarm water. 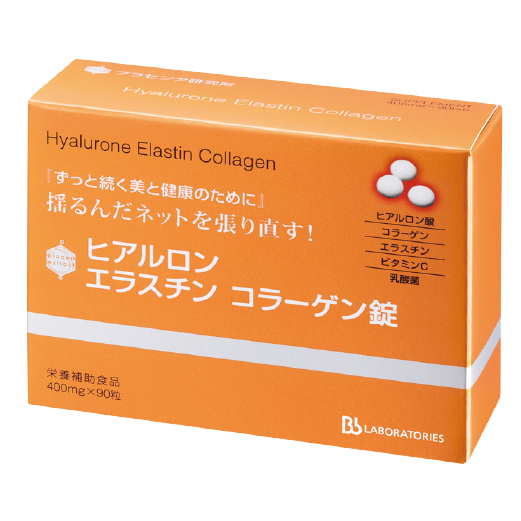 This supplement contains hyaluronic acid, elastin and collagen, the vital structural components of skin that regulate the skin's moisture, suppleness, and elasticity, which decline as we age. It also helps strengthen the capillaries, reduces wear off of collagen in joints, and promotes healthy nails and hair. Lactic acid also helps intestine health. Take 3-6 capsules (400mg/capsule) daily with lukewarm water. This supplement contains three major extracts -- Coenzyme-Q10, Pycnogenol, and Red Clover extract, which provide particularly effective support for women. 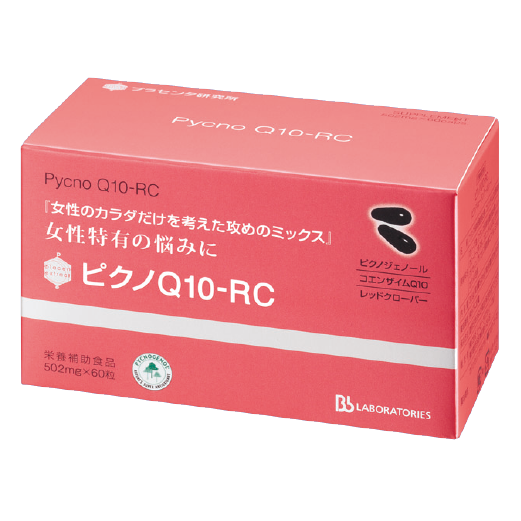 Coenzyme-Q10 is an important substance required in the body. It is an effective anti-oxidant to remove free radicals, provide anti-aging function and prolong youthful appearance. It can also promote a healthy cardiovascular system, and enhance physical fitness. Pycnogenol helps to keep optimal body functions and thus promotes healthy and revitalized body. Red Clover extract contains isoflavones, which can mimic the effect of endogenous estrogen, and thus relieve premenstrual syndrome and menopausal symptoms. It helps replenish estrogen, and thus prevent the accelerated aging due to the loss of estrogen. Take 1-2 capsules daily with lukewarm water.